Tim Pugh is pictured, right, receiving his award from Paul Kimpton. 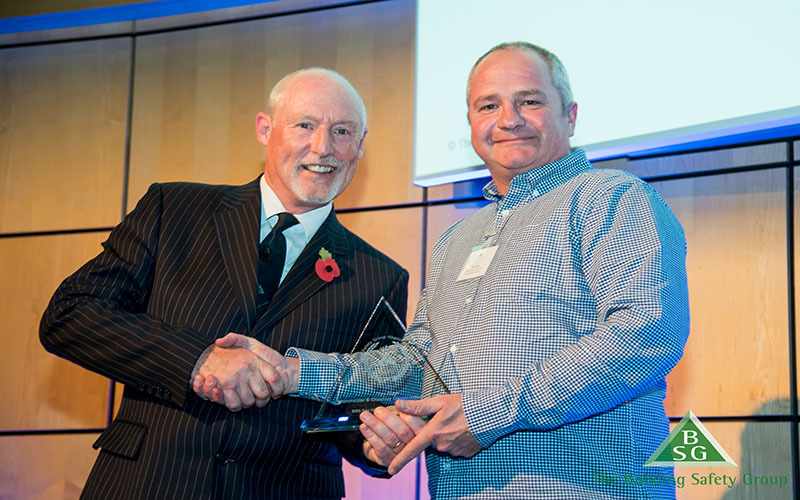 A site manager at MC Construction has won an industry honour. “The BSG Awards ceremony was once again a national celebration of our members’ dedicated commitment to health and safety in construction.